The first step to buying a watch is to establish a budget. Once you've done that, you can begin hunting for your perfect watch. It's important to first set your budget because that will narrow down which watch brands and models you can choose from. 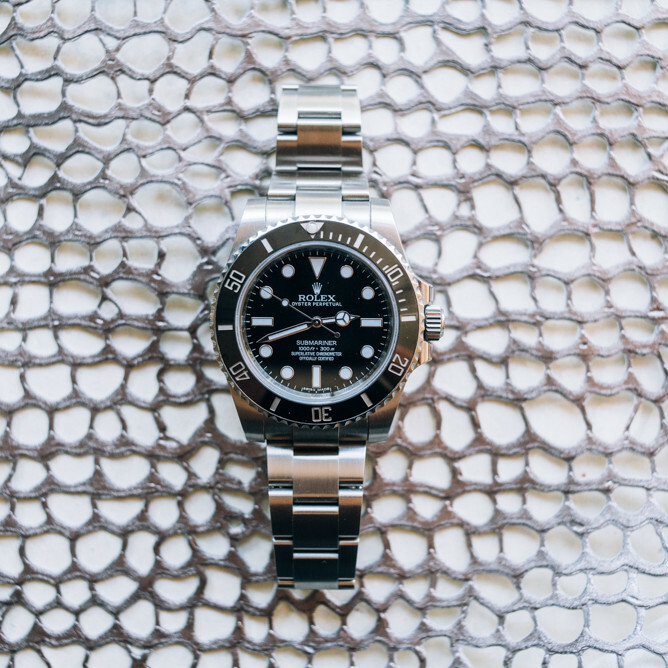 For a $2,000 budget, a Rolex or Patek Philippe watch may not be realistic; however, there are hundreds of other watch brands that create quality watches within your budget. We've selected 11 of the best watches under 2,000 dollars, and these men's watches range from dress watches to sport watches. No matter the design or style, you can be sure that these are quality watches. Let us know if your watch makes our list! This Tissot watch is powered by the Powermatic 80 movement, which boasts a power reserve of up to 80 hours. As for the design, this stainless steel watch features a classic style that will never look dated. It’s easy to dress up or dress down the Tissot Couturier Powermatic 80. Alpina is known for creating reliable sports watches. Every single Alpina “4” sports watch features anti-magnetism, anti-shock, water resistance, and a sturdy stainless steel case. This sports watch is a quality watch that won’t easily be broken. The TAG Heuer Formula 1 Chronograph is a casual sports watch that would be perfect for a guy on the go. With its chronograph and tachymeter scale, this TAG Heuer watch is the perfect watch for the racetrack or field. Plus, this is a low-maintenance watch since it is powered by a quartz movement. However, you will need to remember to change the battery. The Autodromo Monoposto Chronograph was inspired by the Monoposto (single seat) era of Grand Prix racing. The “redline” crystal pays homage to the time when a racecar’s rev counter featured a red line of paint to make sure the driver, with a quick glance at the dashboard, knew the engine’s limit. Features: Chronograph. This watch comes in a collectors box. Inspired by Hamilton’s marine chronometers from the 1940s, this classic watch features a combination of vintage and modern designs. The Hamilton Khaki Navy Pioneer Chronograph has been revitalized and is now powered by an automatic movement with a 60 hour power reserve. This Raymond Weil Freelancer features a sporty design that is perfect for men with an active lifestyle. With its 30 bar water resistance, sturdy rubber strap, and scratch-resistant stainless steel case, this watch will hold up to anything you throw at it. Oris has revived their iconic dive watch that first appeared in their collection 50 years ago. This new Oris watch, the Oris Divers Sixty-Five, has a classic vintage design, but it has been modernized using 21st century watchmaking techniques. Junghans created the first Junghans Meister in the 1930s, and since then they’ve refined the design and updated the watch with modern watchmaking technology. This Junghans Meister Calendar is an elegant dress watch with a modern design, and the minimalist dial makes it easy to wear this watch for nearly any occasion. Features: Date, day, month, and moon phase. Also available with English week day and month display. The movement is available for all to see on this Frederique Constant Classics Heart Beat watch. The dial offers a “heart beat” window at 12 o’clock, and the transparent case back allows you to watch the movement at work. Nomos is known for creating modern watches with a minimalist dial, and this Nomos Orion 35 is no different. This Nomos watch features golden indexes, a stark white dial, and vibrant blue hands. If desired, you can request your watch to have a personalized message engraved on the case back. Disclaimer: This watch is slightly over budget, but we couldn’t resist including it in this list of the best watches under 2,000 dollars. This Longines Master Collection 38 mm Automatic watch features a classic design that won’t go out of style. With its sleek stainless steel case, this watch can be dressed up or down and paired with nearly any outfit. Features: Hours, minutes, seconds, and date. Comes in a wooden box.